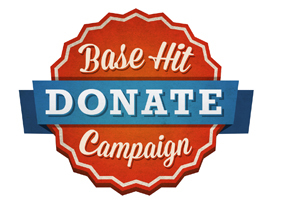 Home runs can make it happen but most games are won by a string of base hits. Beautiful People seasons of basketball, baseball, and soccer need a strong foundation. We want to insure a future in which many more children and young adults with special needs have a chance to socialize, exercise, and enjoy the benefits of team sports—a game all their own. Your donation makes a difference large or small. Please consider a tax-deductible one-time donation or a monthly credit card pledge. Any amount—even $5! will collectively help to secure our current programs and help with expansion to other sports. A solid financial base is a platform for growth. Help us keep the ball in play. We are a recognized 501(c)(3)non-profit, but we also have mission based expenses: sports insurance, program management and coordination, equipment, uniforms, recognition awards, recruitment and orientation of volunteers, individual sponsorships, etc. Thank you for helping. Visit Facebook and tell us why you have decided to support Beautiful People!